Avoid rules of thumb: Over the last decade, many energy efficient equipment and passive design strategies have come into the market which have imparted energy efficiency in the built environment and supported the load reduction but the rules of thumb have not changed till date. This leads to oversized HVAC design and under performance. Design factor: Key factors to consider under design conditions are building location, air conditioned area, climatic zones, indoor design conditions, orientation, building height, and floor to ceiling height. Building envelope factors: Key factors under building envelope are thermal mass, thermal conductivity of envelope, solar heat gain coefficient, shading, and airtightness. Internal load factors: Key factors under internal loads are appliance efficiency and equipment schedules, occupancy schedule, ductwork, lighting power density, day light integrations, and controls. Use the accurate information for load calculation: It is important to use the accurate specification for each input parameter from vendors, research, or field test. This allows proper sizing and optimized energy efficiency. Advance modelling functionality – TRACE 700 could analyse over 50 air side comfort system, all types of economizers, all sizes of chilled water system & components, VRF, and optimized controls. Ease to use – The interface is user friendly and all relevant libraries, weather files etc. are integrated in the software. Support and training – Answers to queries are well addressed by the dedicated professionals and global forums. VE – Gaia – It’s an tool that includes concept design analysis, quality check, detail analysis of energy performance and comfort system design, sizing and energy efficiency, and detailed report generation. VE – Pro – It’s a powerful, user friendly, and comprehensive building performance tool applicable for energy analysis, day light integration, solar integration, life cycle etc. Energy plus – EnergyPlus is a comfort system design, energy analysis, and simulation software which is known for its comprehensive calculations for accurate results. The software results in an integrated solution where all building responses, primary systems, and secondary systems are simultaneously considered for an optimized result. It includes advanced fenestration, heat balance, and day light controls options as well. eQuest – eQuest is an advanced, comprehensive, user friendly software for building energy performance analysis, comfort system design, detailed simulation results. The software supports the batch integration effectively to analyse different energy conservation measures on the building and report the comparative analysis on each. It includes advanced fenestration, heat balance, and day light controls options as well. National Building Code (NBC) of India – NBC is a building code which provides comprehensive guidelines to regulate the building construction industry in India. It includes guidelines on each component of building design and construction. The Code mainly contains administrative regulations, development control rules and general building requirements; fire safety requirements; stipulations regarding materials, structural design and construction (including safety); and building and plumbing services. Energy Conservation Building Code (ECBC) – ECBC was launched in May 2007 by Ministry of Power, Government of India. 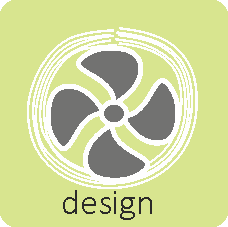 The code is meant for all design professionals involved in building design, and construction. The key intent of the code is to promote energy efficiency in building sector and focus on mandatory adoption of code across India. ECBC lists the minimum energy performance for building envelope, lighting systems, HVAC systems, Service water and pumping systems, and electrical systems. ASHRAE 90.1, ASHRAE 62, ASHRAE 55 – American Society of Heating, Refrigerating, and Air-Conditioning Engineers (ASHRAE) is an American organization that provides design standards for energy efficiency (ASHRAE 90.1), ventilation and indoor air quality (ASHRAE 62), and thermal comfort (ASHRAE 55). These standards are widely used in India for comfort system design and sizing.